Nashville, TN − In a recent Barna Research study, half of all parents say they talk to their children daily about self-control, happiness, and patience. But less than 40% talk to their kids about serving others, conflict resolution, or being reliable. In her new book, “How to Build Children with Integrity”, author and bible study teacher Karen Budzinski offers parents strategies to tackle the subjects that shape the core of their children’s character. Budzinski says that on average, if a person interacts with only three people per day, they will impact over 80,000 people during their lifetime, and that, she says, is why integrity is so imperative. 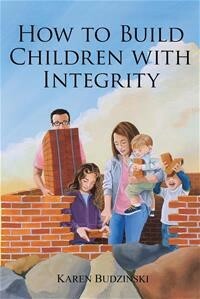 “How to Build Children with Integrity” deals with topics such as contentment, selfishness, being responsible, accepting failures and imperfections, finding joy in an imperfect world, and teaching kids to be a givers instead of a takers— a subject that cuts to the root of what Budzinski says has become a narcissistic society. Budzinski says parents need to re-affirm their position as heads of their households, as disciplinarians and, ultimately, as builders of the next generation. For nearly four decades, Karen Budzinski has directed Women’s Ministries for several churches, served as a Sunday School teacher for adult, youth and children’s classes, taught Discipleship and New Believer’s Classes, led marriage groups for couples, and counseled troubled marriages. She attended Central Bible College to study Biblical Counseling, and has held seminars and taught homiletics to individual groups, district denominational gatherings, as well as leaders in Peru and Haiti. She speaks to various MOPS groups each year, and teaches an on-going class on Building Better Relationships in her home and at church. She has five children and 14 (soon to be 15) grandchildren. She and her husband, Gary, have been married for 37 years and reside in Michigan. For more information, visit www.KarenBudzinski.com. 8 March – Nashville, TN – JellyTelly, a Nashville-based media and technology company that serves Christian families, has announced the next series in their popular 5 Minute Family Devotionals. The new original series, which includes 16 video-based devotionals about the life of Jesus, begins Monday, March 6 and is available on YouTube, the JellyTelly Parents blog, and the JellyTelly streaming video app. Faced with feedback from parents regularly about how difficult it can be for families to pull off a regular meaningful devotional time, the JellyTelly team has been working on a brand new way to have a family devotional. Each new JellyTelly 5 Minute Family Devotional is a self-contained video that families can do from their favorite screen – at home or on the go! Each devotional plan takes parents on a journey with their kids and covers themes from the Bible that are foundational for children. Each of JellyTelly’s devotionals features a short video that tells a Bible story, a Bible verse, and a variety of short discussion questions and prayer prompts. Each devotional is posted on the JellyTelly Parents blog, where it is paired with additional information, questions, and free activity downloads to go with each day, allowing parents to take their devotional time off-screen for deeper learning. JellyTelly is a rapidly growing media and technology company incubated within Creative Trust focused on helping Christian parents navigate the often-complicated world of parenting, spiritual formation, and raising great kids. Its transmedia properties include a robust subscription streaming video on demand platform for kids (JellyTelly app), a resource-rich parents blog (JellyTelly Parents), and a curated store with the best books, toys and videos for Christian families (JellyTelly Store). JellyTelly helps families experience the goodness of God every day by inspiring, entertaining and resourcing them. The JellyTelly app is available on the App Store, Google Play, Roku Channel Store and supported Kindle devices. 14 February – Nashville, TN – JellyTelly, a rapidly-growing media and technology company serving Christian families, is a focused destination for parents looking for help raising Christian kids. The JellyTelly team helps Christian families live faithfully and flourish through the JellyTelly video app for kids, the robust publisher JellyTelly Parents, and a curated e-commerce store. JellyTelly is a partner for parents looking to engage their kids in the Christian faith, anchored in its streaming video app for kids, parent-centered publishing platform, and carefully curated marketplace of the best in Christian kids’ products. 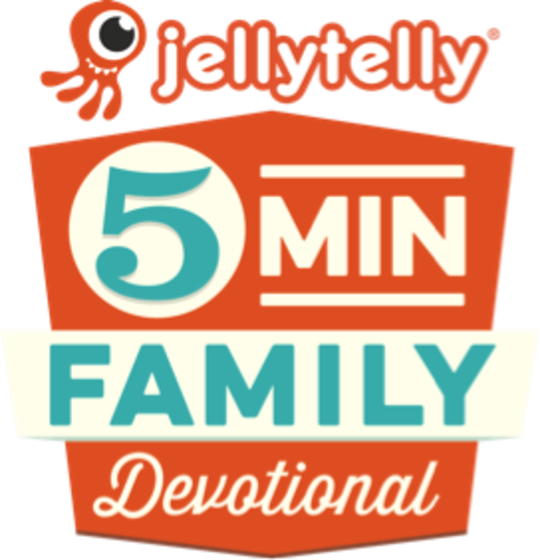 JellyTelly is also the creator of the 5 Minute Family Devotional, a popular video series with video-based family devotionals, available on the JellyTelly Parents blog and YouTube, as well as in the JellyTelly app. The JellyTelly app features over 300 hours of video content, including beloved series like VeggieTales(R) and Friends and Heroes, and new shows like Phil Vischer’s Buck Denver Asks … What’s in the Bible? and Micah’s Super Vlog. The JellyTelly app is available on the App Store, Google Play, Roku Channel Store and supported Kindle devices. JellyTelly Parents features more than 15 well-known regular writers publishing 4-5 times per week, and focuses its content on encouraging, equipping and coaching parents. The JellyTelly Store is a growing marketplace of thoughtfully curated products for Christian families, including videos, books, games, toys and more. Grand Rapids, MI—November 5, 2015—Everyone’s favorite Bear family, Papa, Mama, Brother, Sister, and little Honey Bear, continue to be as popular as they were at their origin in 1962 by husband and wife author/illustrator duo, Stan and Jan Berenstain. 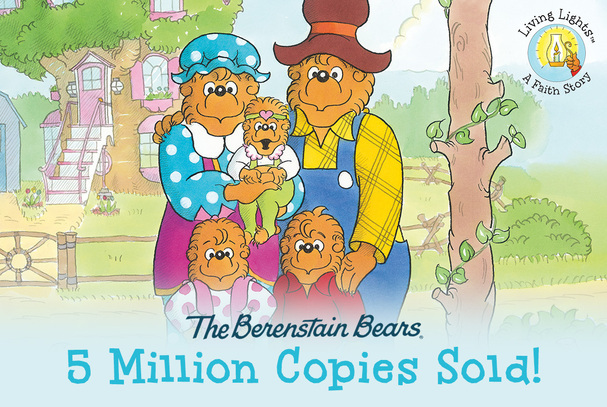 This is equally true for readers of faith-based children’s books, as the Berenstain Bears Living Lights brand from Zonderkidz (a HarperCollins Christian Publishing imprint) has recently surpassed a sales milestone of five million units since the beginning of the Living Lights brand in 2008. After a proposal from their son Mike, an active partner in the Berenstain Bears franchise since the 1980s, Stan and Jan Berenstain began a relationship with Zonderkidz to produce the first faith-based editions of their brand under the name Living Lights. Upon their passing, Mike assumed the role of author and illustrator for all Berenstain Bears products, including the Living Lights brand. In the current resurging trend of nostalgic cartoon and book series, The Berenstain Bears remain as strong as ever for consumers who consistently turn to the Bear family to help guide their little ones in lessons of family, manners, morality, holidays, and faith. The Berenstain Bears Living Lights brand offers a wide variety of books and storybook Bibles, including a full-text NIrV Bible for emerging readers and even a cookbook featuring treasured recipes from family matriarch Jan Berenstain. The Berenstain Bears Living Lights brand includes popular titles such as The Berenstain Bears and the Golden Rule, The Berenstain Bears Say Their Prayers, The Berenstain Bears and the Easter Story, and the recently released The Berenstain Bears and the Very First Christmas. The Berenstain Bears Living Lights books and Bibles are available wherever books are sold, both in-store and online. For more information on the Berenstain Bears, the history of the brand and catalog of products, visit www.berenstainbears.com. For more information on Zonderkidz and The Berenstain Bears Living Lights brand, visit www.zondervan.com. Zondervan is a world-leading Bible publisher and provider of Christian communications. Zondervan, as part of HarperCollins Christian Publishing, Inc., delivers transformational Christian experiences through its bestselling Bibles, books, curriculum, academic resources, and digital products. The Company’s products are sold worldwide and translated into nearly 200 languages. Zondervan offices are located in Grand Rapids, MI. For additional information, please visit www.zondervan.com. Nashville, Tenn. (January 7, 2015) —– The mother and daughter team of Korie Robertson and Chrys Howard is releasing a new children’s book February 10, 2015, through Tommy Nelson, a division of HarperCollins Christian Publishing. 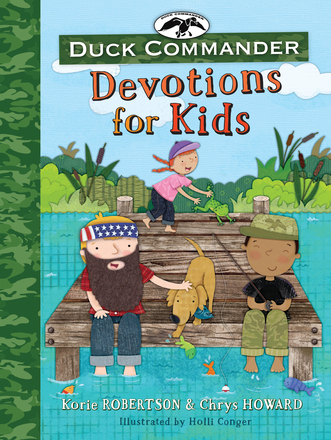 Duck Commander Devotions for Kids is the first children’s devotional release under the Duck Commander brand, and the project features selected Scripture passages, anecdotal stories from the Robertson family members, prayers, and a Duck Commander In Action section. These motivational messages contain wit, humor and outdoor activities to help young believers grow stronger in their faith and are based on the core values of the Robertson family that have resonated with Americans across the country through A&E’s Duck Dynasty and the Robertsons’ Duck Commander® franchise. Duck Commander Devotions for Kids is beautifully illustrated by Holli Conger and gives vibrancy to the biblically based messages delivered by Robertson and Howard. Their down-home approach to these core truths will be very relatable to children, and the familiarity of both ladies will provide a comfort level to parents and their youngsters. As seen on A&E’s Duck Dynasty, the Robertson clan is very well-known for its dedication to family and faith and have led the program to become one of the highest-rated shows on television. Chrys Howard, the mother of Duck Dynasty’s, Korie Robertson, claims she really did have a life before Duck Dynasty; sometimes it’s just hard to remember what it was. She holds a degree in elementary education and spent 10 years teaching children with learning differences. After teaching, she joined the family-owned business, Howard Publishing, where she served as senior editor and creative director. She has authored a number of books, including the best-selling Hugs for Daughters and Motivationals for Moms, and she co-authored the New York Times bestseller Miss Kay’s Duck Commander Cookbook, Everything’s Better with a Beard, D is for Duck Calls and The Faith Commander church curriculum. Chrys has spent more than 30 years working with Christian youth camps; speaking to women’s groups; teaching Bible classes to children, teens, and young adults; and traveling overseas for mission efforts. She is married to John Howard, has three grown children and 13 adorable grandchildren and lives next door to Korie and Willie in West Monroe, Louisiana. Tommy Nelson, the children’s division of Thomas Nelson, a HarperCollins company, publishes a wide variety of high quality, enjoyable products that are consistent with the teachings found in the Bible. Tommy Nelson products are designed to expand children’s imaginations and nurture their faith while pointing them to a personal relationship with God. For more information, visit http://www.tommynelson.com. COLORADO SPRINGS – May 12, 2014 – Since the release of his first book, Dare to Discipline, in 1970, Dr. James Dobson, America’s best-loved family expert, gently yet convincingly overhauled the way a generation raised kids. Now, in a new DVD series, BUILDING A FAMILY LEGACY, today’s parents again have the essentials to build lasting love, raise strong children and create an enduring legacy. Behind the BUILDING A FAMILY LEGACY story is a family legacy story. More than a century ago, a chain of events dramatized in YOUR LEGACY, followed Dr. Dobson’s great-grandfather’s conviction to consistently plead with God for a strong Christian faith to be born in every member of his family for the next four generations. In the late 1970s as his speaking and travel schedule exploded across the country, Dr. Dobson was left with too little time for his own family. The solution: Record his lectures on seven films. The title: Focus on the Family. The surprise: The series hit a nerve worldwide. Audience numbers—mostly in church showings (pre-DVD! )—soared past 80 million. Dare to Discipline and The Strong-Willed Child became household items. Why not reprise? Why not take the best of Dobson speaking when he had young children . . . and add contemporary Dobson wisdom as he caps a remarkable career in Christian family counseling. In eight separate presentations, film crews captured the magic. The result is must-have on then-and-now parenting insight. In BRINGING UP GIRLS, for example, grown-up Danae Dobson, the original “strong-willed child,” looks back with the father who raised her. “For anyone in the midst of raising a girl, here are important steps to building a woman of strength and character,” Danae said. Produced and directed by David Nixon, BUILDING A FAMILY LEGACY is available on DVD in October at leading Christian retailers and online. A simulcast, also available worldwide in churches across America, from October 1-5, introduces the series to a million people. New books, study guides and re-releases of many of Dr. Dobson’s classic titles support this milestone work in his legendary ministry. That “job,” is BUILDING A FAMILY LEGACY. Author of more than 40 books, Dr. Dobson currently heads Dr. James Dobson’s Family Talk, a ministry and radio program. For 14 years, he was an associate clinical professor of pediatrics at the University of Southern California School of Medicine and was on the attending staff of Children’s Hospital of Los Angeles for 17 years. He earned his doctorate in child development from USC. He founded and is chair emeritus of Focus on the Family. When We Just Have To Say "No"
As a parent, I’ve learned that one of my favorite things to do is to give our son gifts. If he likes something, I really enjoy getting him little gifts or toys related to that subject. It’s just fun for both of us. Since he’s been born, apparently that’s a favorite pastime of our parents too, as Will has acquired many toys and fun stuff since he was born. (And we are being buried alive in them, but that’s another story). So, I got a text from my wife Amy today who took Will to the mall for a hair cut. She had promised to take him to a pet store to see the fish tanks in which one of them has a tank ornament that is a jellyfish. It just so happens that our little 3-and-a-half-year-old is a big fan of jellyfish and almost anything else aquatic. Up until this visit, that particular tank ornament was not for sale. Amy’s text asked me if she can get it for Will because he really, really wants it. She adds that it’s $20. My first reaction is that we usually just get him what he wants if it’s cool and harmless and inexpensive. (And honestly, I’ve blown $20 plenty of times on, um… “office desk ornaments”.) But we’ve been broke-as-a-joke lately, so I just came out with a flat “No” first. Sure, that looks kinda cool, but… is it really suitable for a 3 year old to play with? And how durable is it outside of a fish tank? And he actually already has a plush jellyfish… So I stuck to my guns and said no again. And she had a good point. It’s one thing to say “no” over text message and another to tell the child to their face. It wasn’t easy for me to do, but between the two of us, it was easier for me to not have to actually deal with a sad little cutie face. I tried to bargain with him through her, telling her to tell him I recently got him a new little [cheaper] LEGO spaceship for us all to play together (which he wanted for us to do recently), and Amy bravely left the mall without the fishy figurine. When I saw him later, he begged me to go to the store to buy it for him, but I told him it’s too expensive and he already has jellyfish (and tons of other fun stuff) to play with. He has since mostly let it go, and… guess what… we’re all still alive! I’m sure God can relate to us being persistent and stubborn children who ask for things and expect to always get our way, but while it wouldn’t have killed us to buy that item for him, I just felt like it was a lot of money to spend on something that he didn’t NEED, wasn’t even really a toy, and we really shouldn’t be spending money on at the moment (and, without it, live does go on, the Earth still spins, Oreos still taste delicious, etc). Plus I do think it’s important to not just get our children EVERYthing they want just because they want it. It can’t be healthy. But I’ll tell ya this… it’s a super hard thing to do and I do wish, as a parent, we could give them all the desires of their little hearts. But God knows that’s just not always the best or even right thing. 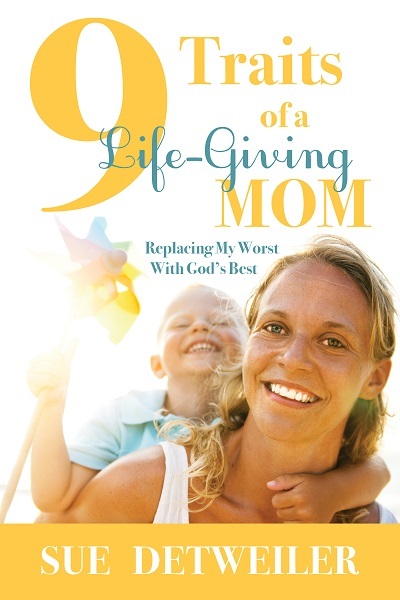 NASHVILLE, Tenn. (April 30, 2014) – Morgan James Faith, an imprint of Morgan James Publishing, is set to release the debut book, 9 Traits of a Life-Giving Mom: Replacing My Worst With God’s Best, from Bible teacher and speaker Sue Detweiler. The digital version will be available May 9 on Amazon and the author’s website, just in time for Mother’s Day, with the print version slated to hit bookstore shelves in October. “The book is not about how to raise the perfect child,” Detweiler says, “It’s more of a conversation with moms of all ages, to help them when they are feeling overwhelmed,” she says, adding that she hopes the book reaches out to those moms going through a difficult time, particularly for those who know they should embrace being a mother, but for whom it doesn’t come naturally. Each chapter begins with one of the nine traits of a life-giving mom, which correspond to the nine fruits of the Spirit as outlined in Galatians 5, and concludes with an intimate prayer to God asking for help and guidance. Detweiler utilizes the concept of opposites to make her point: His love replaces our anger; His joy replaces our sadness; His goodness replaces our manipulation. The book also incorporates a study guide intended for individual or group study. Inspiration for the book, according to Detweiler, came after she realized how challenging it was to be a mom herself, while dealing with the myriad of distractions in our ever-changing world. In addition to raising and homeschooling her children, now ages 14 to 24, including two sons that she and her husband adopted five years ago, Detweiler has also juggled a role in pastoral ministry for much of her adult life. Detweiler has served as principal of New Song Christian Academy, where her children were enrolled, and supervised the LIFE School of Ministry, which she helped prepare pastors and leaders for ministry. In the book, Detweiler is unafraid to reveal the times she wasn’t at her best. She describes a life-changing season which followed the night she and her infant daughter almost died in a house fire. Detweiler, a new mom, was home alone with five-week-old Rachel when their house caught on fire. It is believed that an arsonist ignited the empty home next to them, setting three homes ablaze. To make matters worse, the fire department was delayed by a train and only one fire truck was on the scene to deal with all three fires. Because of the smoke, Detweiler was disoriented and was unable to get to her daughter. At the same time, Rachel developed colic, spending three to four hours each night screaming. The pressure was almost too much for Detweiler, as she recounts in Chapter 1 of the book. One day, I laid Rachel down on the blanket and slowly backed away. Her screaming drove me to the edge of feeling like I couldn’t cope. I began to feel claustrophobic and trapped. My heart raced as my mind shut down. “I’m losing it,” I thought. “If I don’t get out of the house, I don’t know what I will do.” I went to the kitchen and dialed the number of a neighbor. Hearing the tremor in my voice, the neighbor agreed to help me. No doubt, she saw my glazed look as I handed her my infant and drove off. What would have happened if she hadn’t been there for me? I don’t know. I was truly desperate. Desperation is a driving force in our lives to seek change. It is during the pressure-cooker seasons in our lives when we find out our areas of weakness and vulnerability. Pressure cookers are known for being hot, dangerous, and able to blow their lid. That house fire revealed the hidden habits of my own heart that needed God’s healing touch. It’s the heat of life that shows the hidden fractures of our hearts. A Life-Giving Mom uses the pressure-cooker seasons to reevaluate. Allow your own areas of need to propel you toward getting help. As you learn new skills, you will become a better person as well as a better mom. For more information about Detweiler and 9 Traits Of A Life-Giving Mom, visit SueDetweiler.com. Since its inception in 2003, Morgan James Publishing has grown from publishing six books per year to publishing an average of 150 front list titles each year. With a backlist of over 1,900 titles, Morgan James Publishing provides independent authors with the vital information, inspiration and guidance they need to be successful. Morgan James has also been recognized by Fast Company magazine’s Readers Choice Fast 50. For more information, visit morganjamespublishing.com. Sue Detweiler is a mother of six, author, speaker and Bible teacher. Her Healing Rain radio feature is heard on many Christian radio stations across the country. Her internet radio program, Inspiring Women, features interviews with authors such as New York Times best-seller Dan Miller (48 Days To The Work You Love). As a faithful steward, Detweiler has developed her God-given talent to communicate and articulate profound truths in simple and relatable ways. Her experience in marriage, motherhood and ministry exemplifies the life of a woman who has embraced her call and is fully alive to all that God has created her to be. Her debut book, 9 Traits of a Life-Giving Mom, is scheduled for release in digital form on May 9, just in time for Mother’s Day 2014, with the print version following in October. NASHVILLE, Tenn. (April 18, 2014) – His Kidz United and INgrooves/Capitol Christian Distribution have announced the upcoming release of the His Kidz United CD series, a music brand for kids ages 5-14 which features kid-sung versions of today’s top Christian hits, including “Overcomer” by Mandisa, “Shake” by MercyMe, and “Speak Life” by TobyMac. On April 29, His Kidz United, Volume 1 releases to major retail outlets, including Family Christian Stores, Walmart, Lifeway, Mardel Christian Stores, iTunes and Amazon. On the same day, two digital versions will also be released–a sing-a-long version and an instrumental version of all 18 songs on the project. All products will be bundled and discounted at the His Kidz United website. The His Kidz United series is slated to release four new volumes per year. Each album offers 16 popular favorites plus two bonus originals. Parents of four themselves, His Kidz United founders Jimmy and Mai Swan recognized a gap in the supply of uplifting Christian music kids can truly appreciate. A labor of love transformed the best of CCM into an album with which their own children would quickly fall in love. 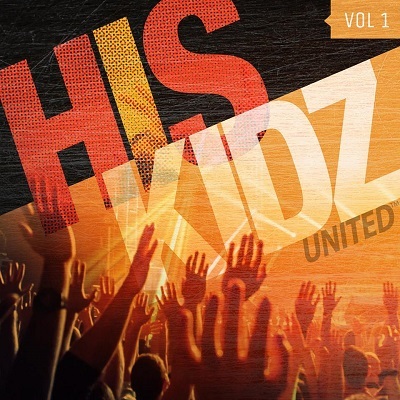 In celebration of Holy Week, Worship Leader magazine is offering the song “Hallelujah” from the upcoming His Kidz United CD, Volume 1, as a free download to its audience this week. To download the song, visit (emailunlock.com/hiskidzunited/hallelujah or worshipleader.com). Proceeds of His Kidz United CDs benefit the Dallas Neighborhood Art & Music School–also known as NAMS School of Music–where all of the tracks are recorded and produced with NAMS students performing on the series. Swan felt it was paramount to have a consistent group of kids performing on the series, and his friendship with the school’s director, Levi Bradford, made the collaboration a natural fit. Sales figures from recent kid-focused projects prove that adults invest in kids. The Frozen soundtrack from the animated Disney blockbuster film of the same name hit No. 1 on the charts and sold three million copies of the DVD right out of the gate, and the KIDZ BOP CD series released by Razor & Tie has sold more than 16 million units of its first 25 titles. With the official April 29 release of His Kidz United, Vol. 1 just weeks away, the CD can be pre-ordered through major retailers. “Our mission with this series is to give kids an opportunity to be encouraged, inspired and drawn to the Lord through the powerful tool of music, and give them something to relate to,” Swan says. For more information, visit HisKidzUnited.com or like on Facebook at facebook.com/HisKidzUnited.